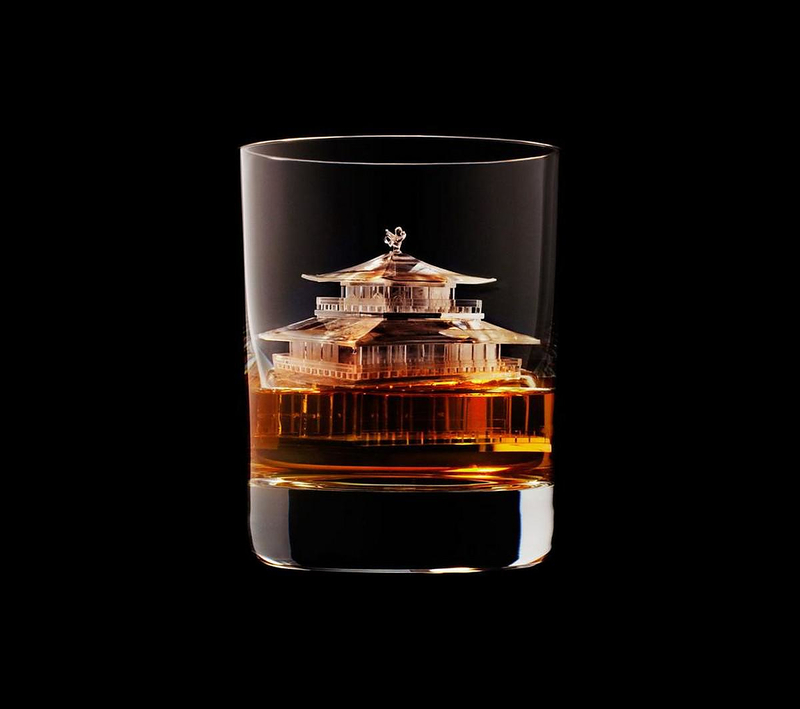 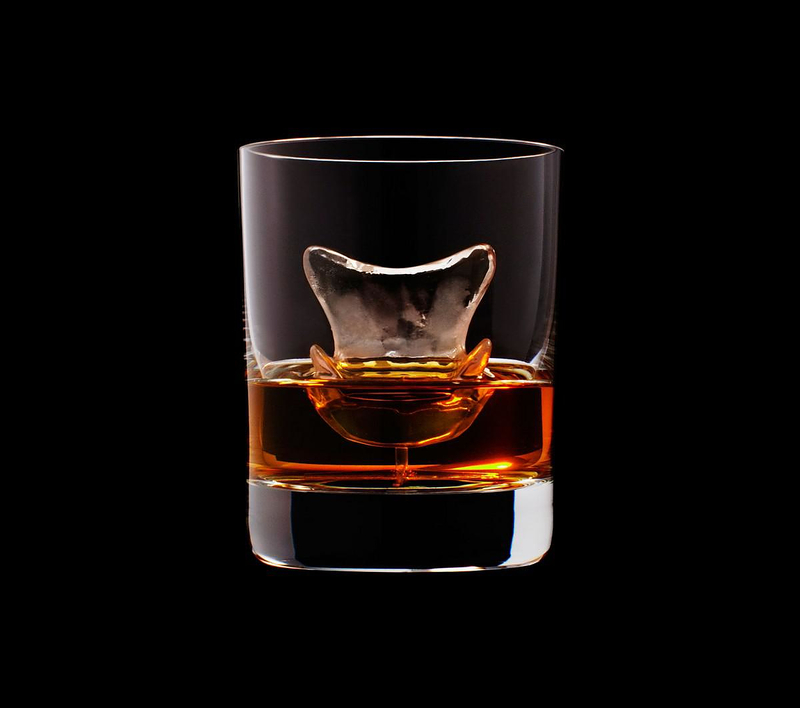 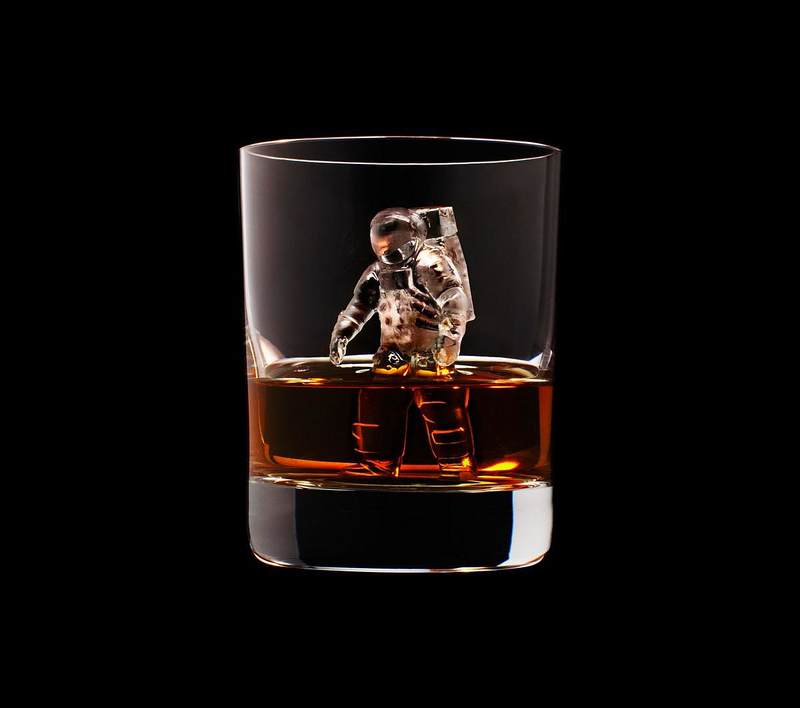 HomeBlogArt3D on the Rocks Ice Sculptures by Suntory Whisky. 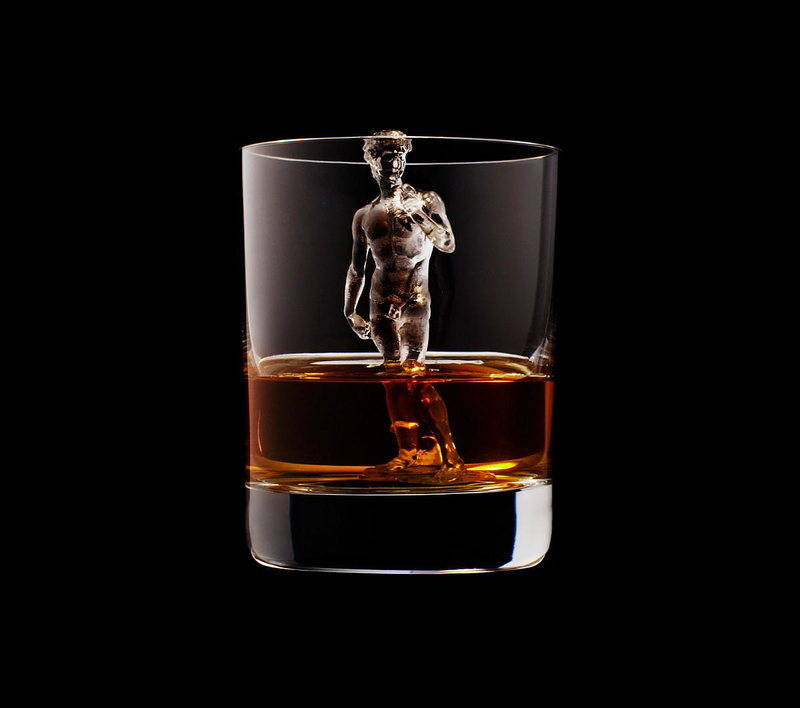 Japanese whisky maker Suntory and agency TBWA\Hakuhodo present 3D on the Rocks a creative advertising campaign that features perfect miniature ice sculptures. 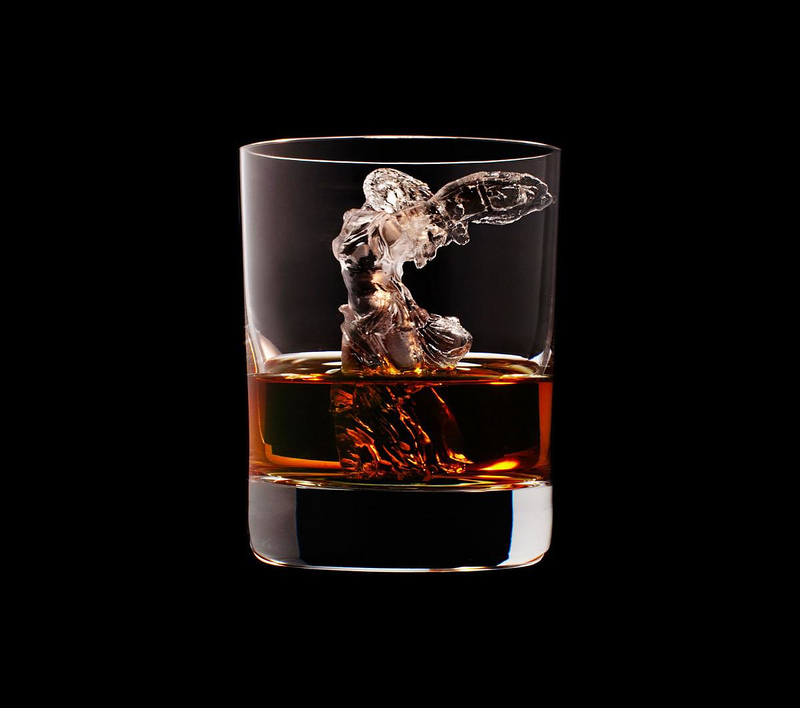 At first it may seems simple, however in order to create these awesome ice sculptures a special procedure was employed. 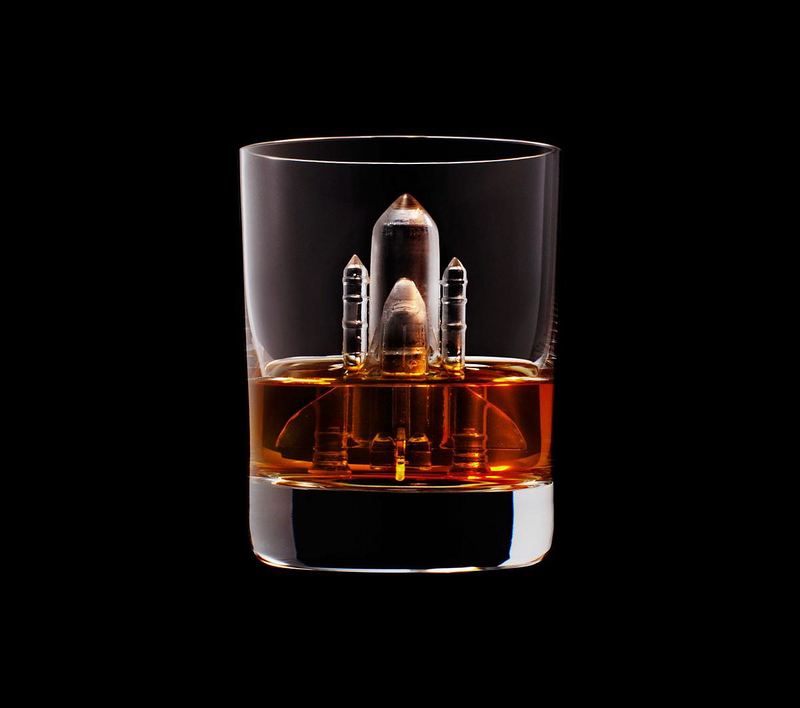 TBWA\Hakuhodo used Autodesk 123D software to create the 3-D blueprints and prepare them for printing. 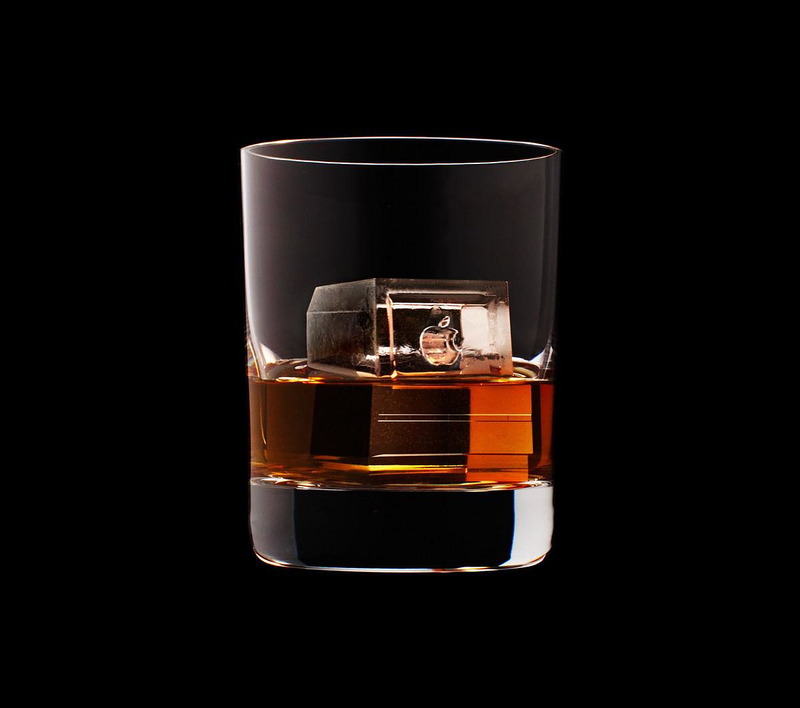 Then they sculpted the ice blocks with a CNC router, while the router was chilled at -7° Celsius to keep the ice from melting. 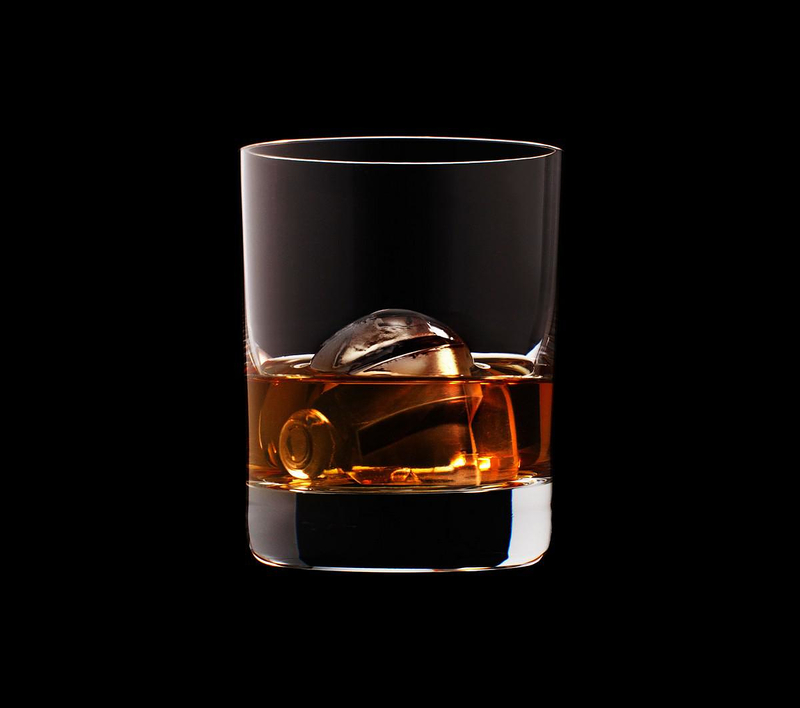 The final touch was the addition of fine Suntory Whisky. As Miwako Fujiwara of TBWA\Hakuhodo said: “A touch of chilled whiskey polishes the surface of the ice and gives a beautiful shine to the sculpture”. 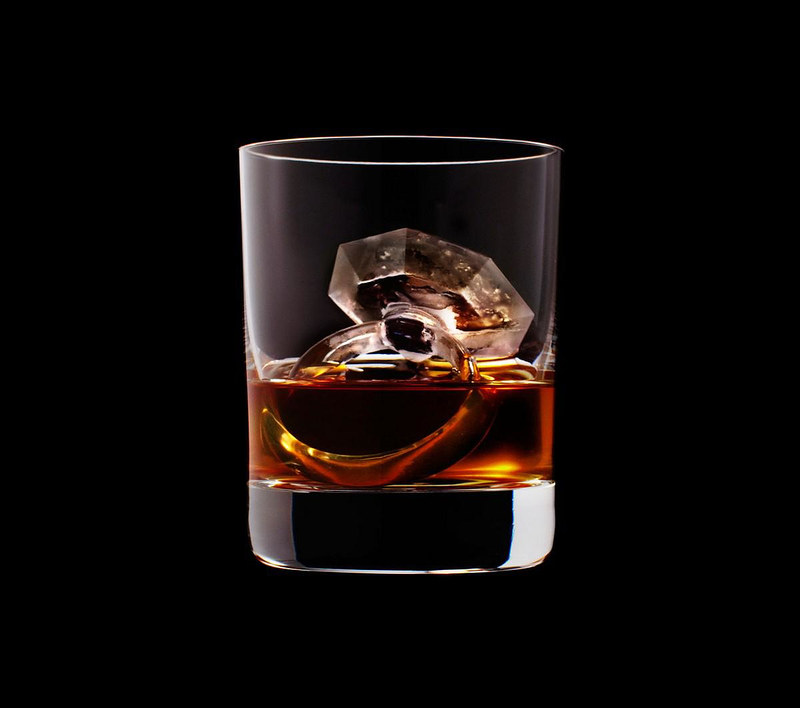 On our part we must note that the collection looks even more impressive by virtue of the beautiful photography in solid black background. 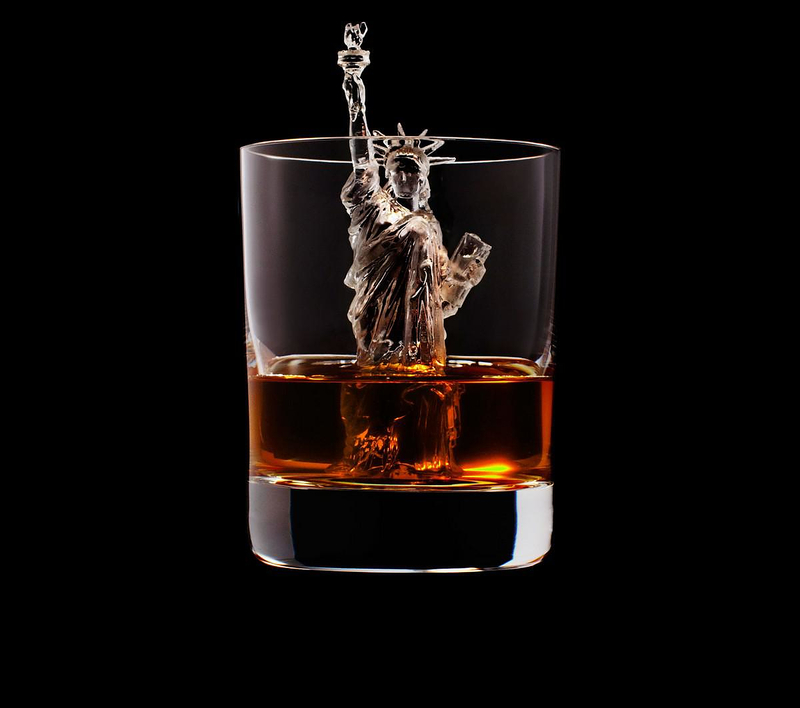 The series includes a number of iconic landmarks and artworks, such the Sphinx, the Statue of Liberty, a Japanese Zen Temple, and the Winged Victory of Samothrace. 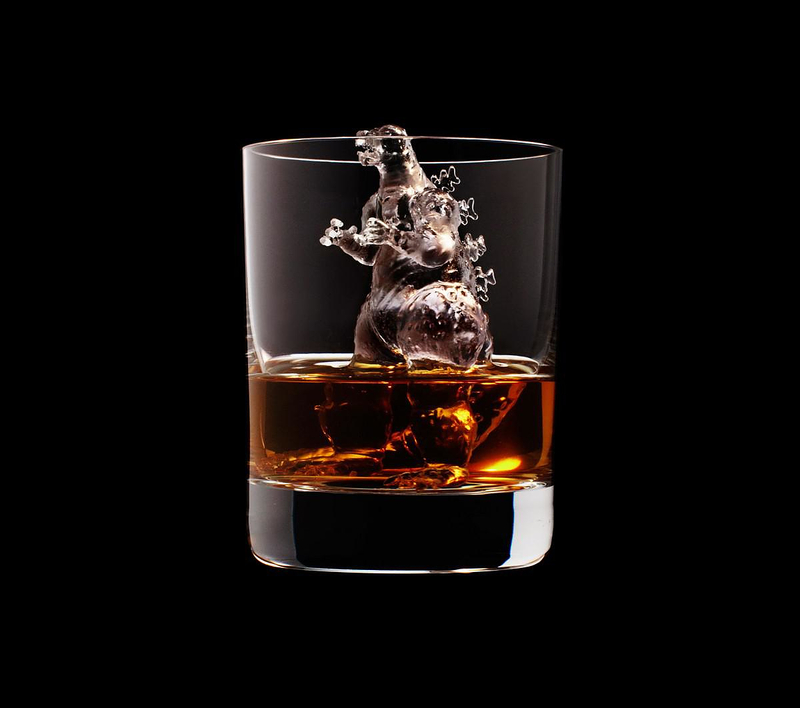 It also includes a number of cinema characters and popular culture icons such as Batman, Godzilla, Mario and Kicky Maus. 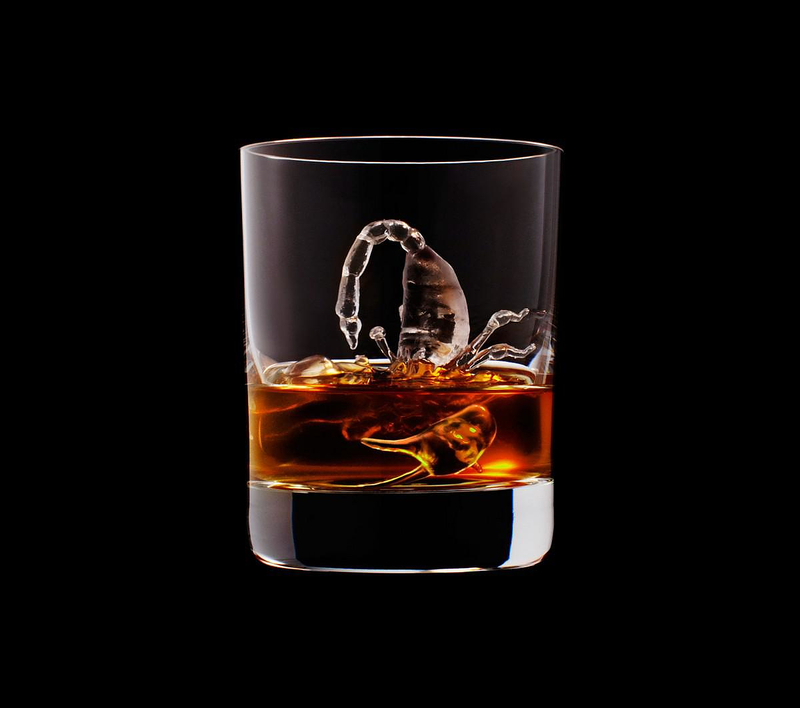 The mix is concluded with ordinary objects and animals perfectly carved form ice, a horse, a diamond ring, a scorpion, a guitar and more. 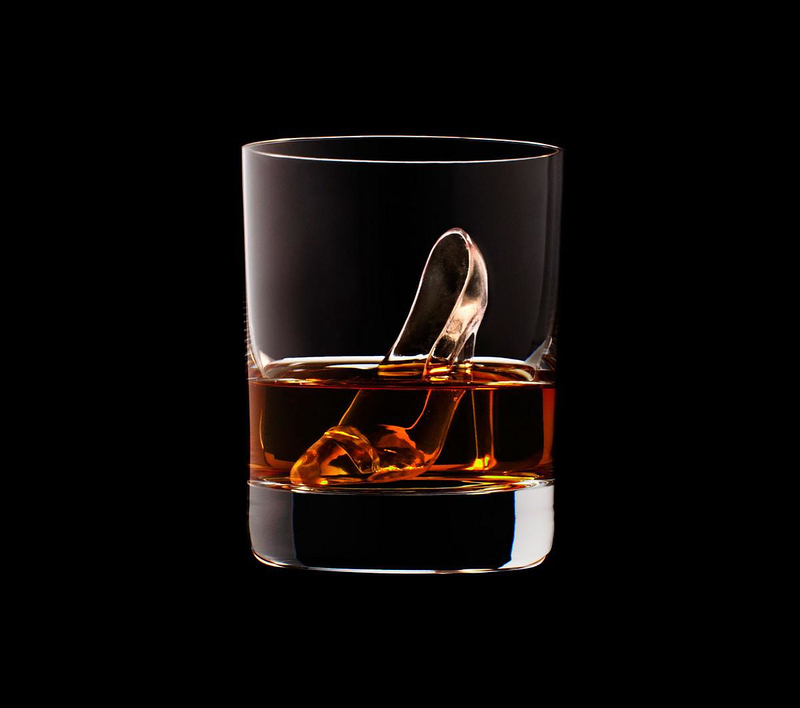 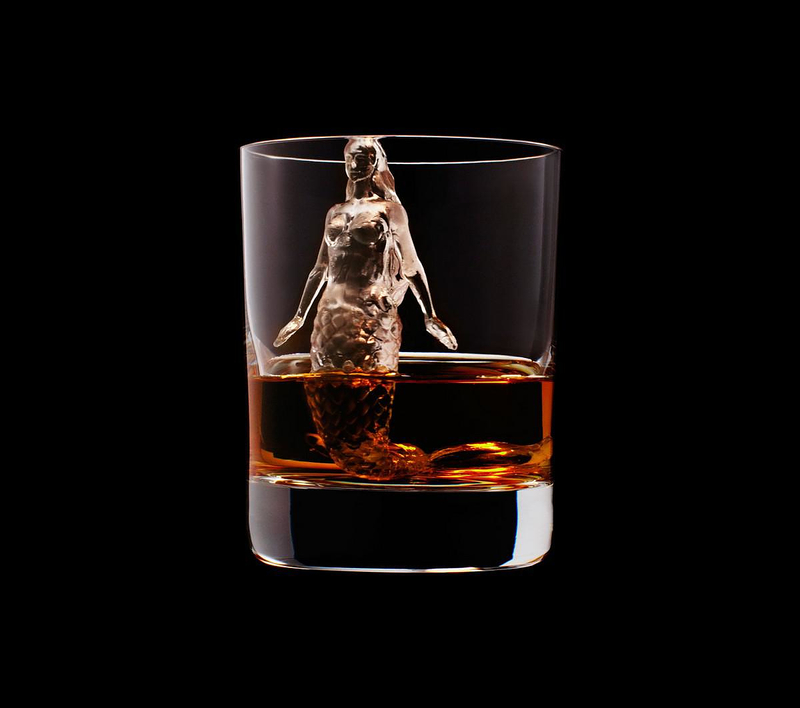 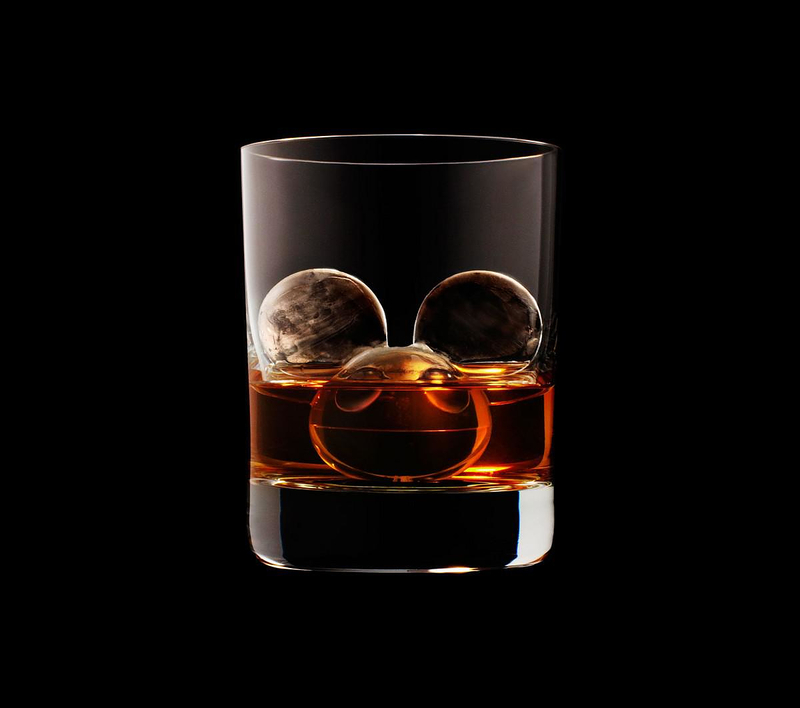 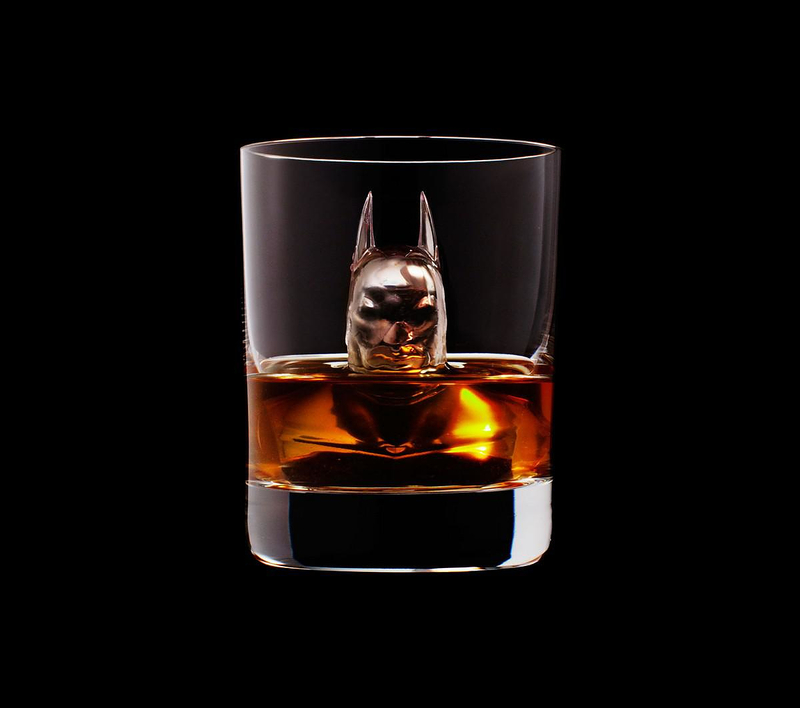 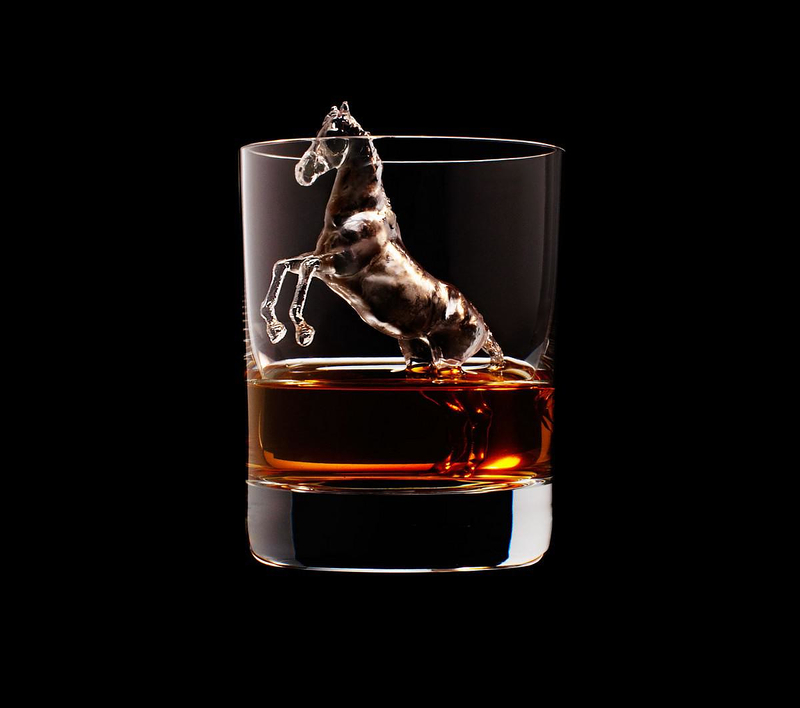 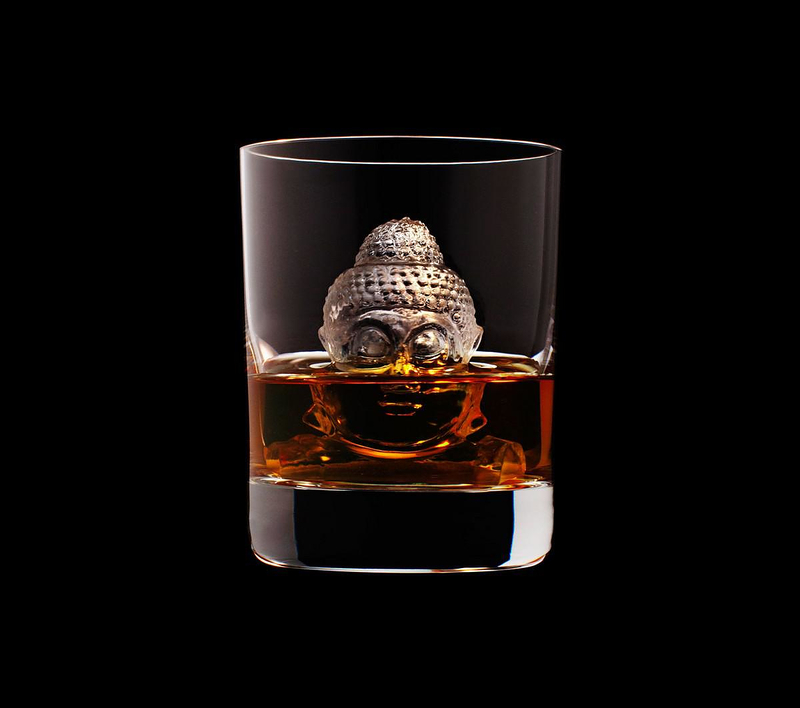 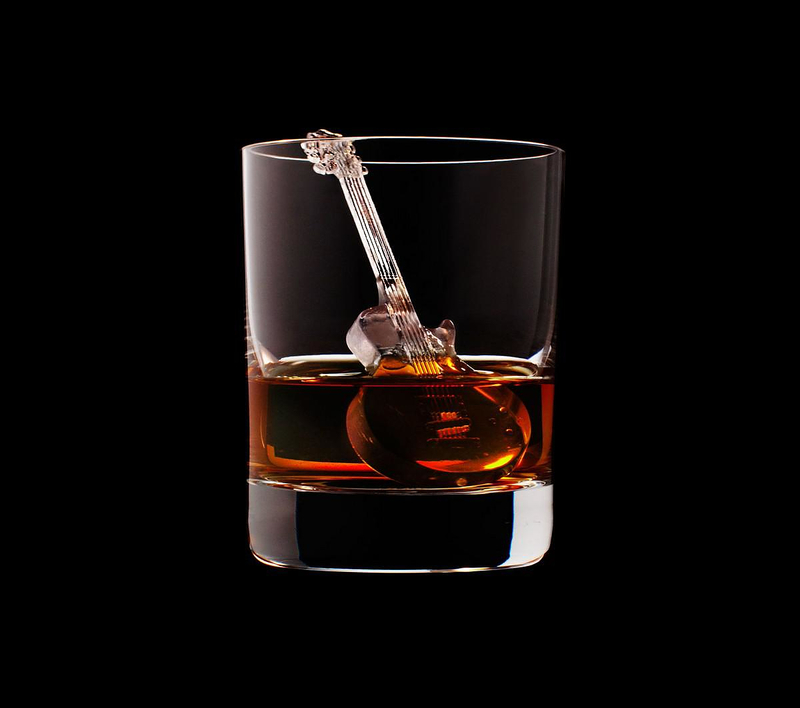 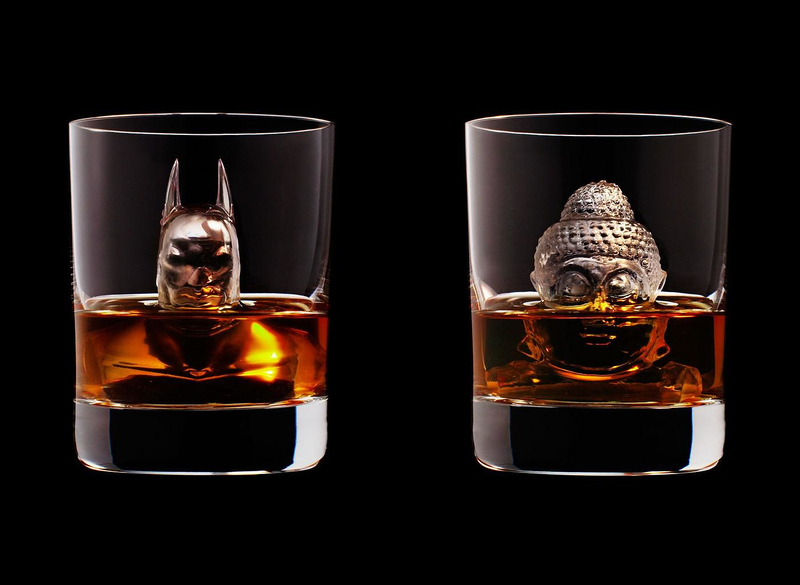 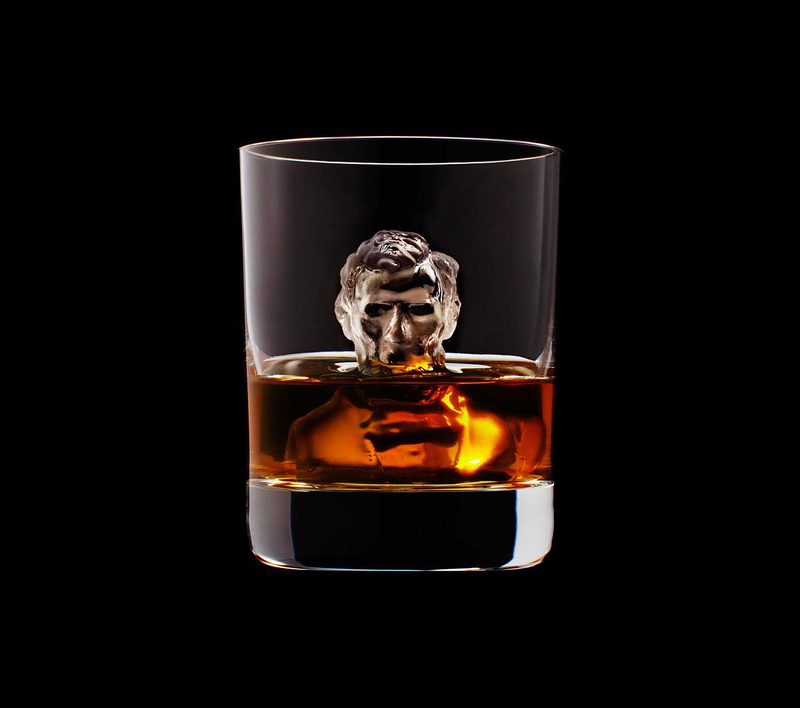 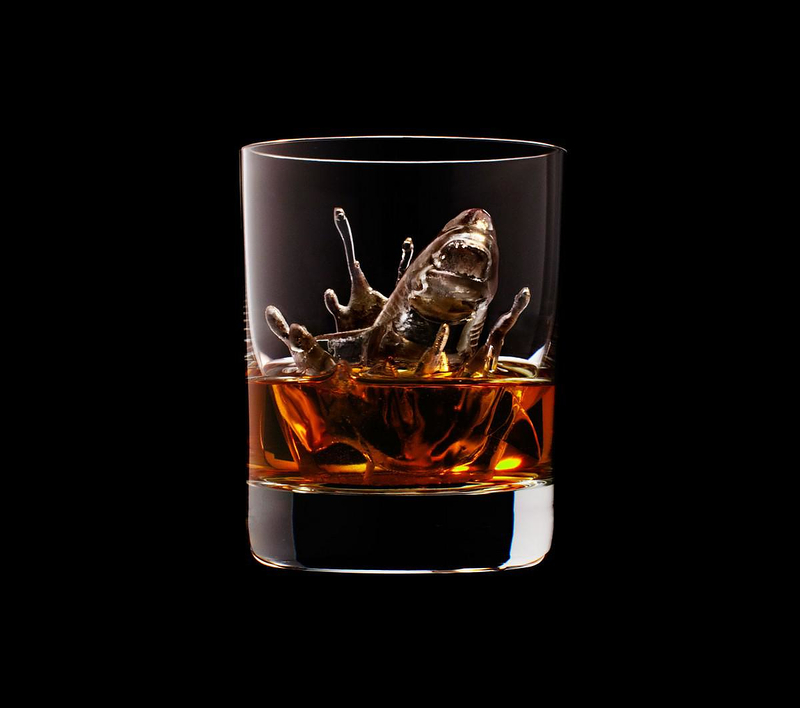 3D on the Rocks is a unique promotional campaign, as sleek and elegant as it gets. 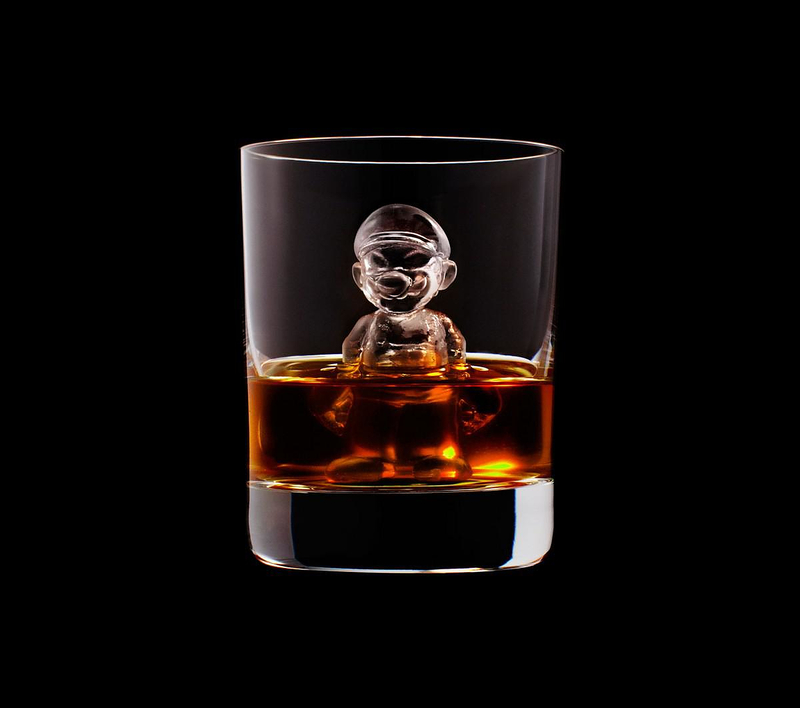 It was launched in 2014 and won a gold award for design in Adweek’s Project Isaac Awards last year and a Branded Content & Entertainment Lotus trophy at the Asia Pacific Advertising Festival in Thailand.